Memorial Day is a day to to honor those that gave their lives in the service to their country and to celebrate the freedoms that we all enjoy. 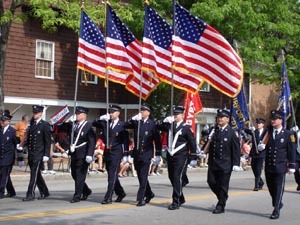 Below is a list of Memorial Day Parades & times (that we know of) for Memorial Day 2018. (*Don't see one of your favorites listed? Let us know! We'd be happy to include it). Varies by town - please check with your local municipality for updates and weather-related info.